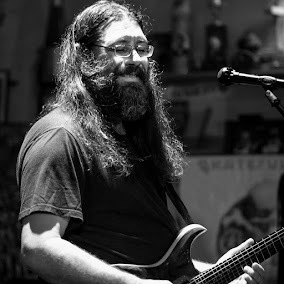 Dave Hebert (aka Dave A'Bear): This weekend doing special shows Moe's Alley in at Santa Cruz and at Great American Music Hall with light show at both. This weekend doing special shows Moe's Alley in at Santa Cruz and at Great American Music Hall with light show at both. On September 6th we are playing at Moe’s Alley, one of our favorite places to play and let loose in Santa Cruz! For those fans attending the show at Moe’s you are in for a special treat as we are bringing a laser light show for the first time to this venue. It’s going to be a great night! We are also very excited about the upcoming show at The Great American Music Hall on September 7th! For the first time in the Bay Area, we are going to re-create the Jerry Garcia Band show from March 2nd 1990. We have been working diligently in not leaving the smallest details out, so for the fans that were there, you will re-live that show. Also, we are bringing back the laser light show that we’ve done in the past and has been highly successful. This is one show you don’t want to miss!